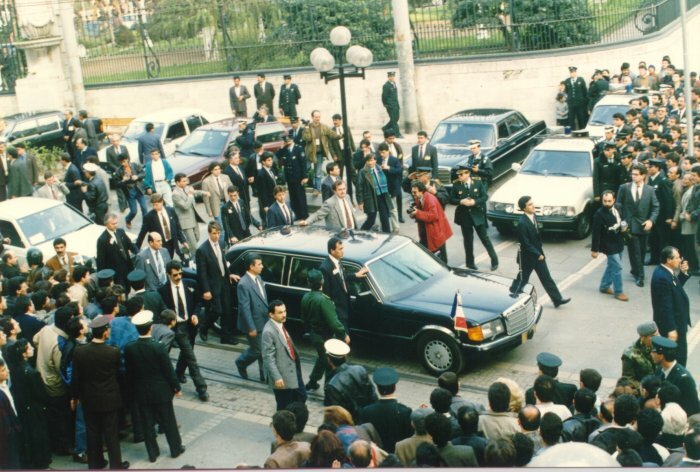 French President François Mitterand visits Galatasaray High School and signs the international treaty for the establishment of the Galatasaray Education Institution. 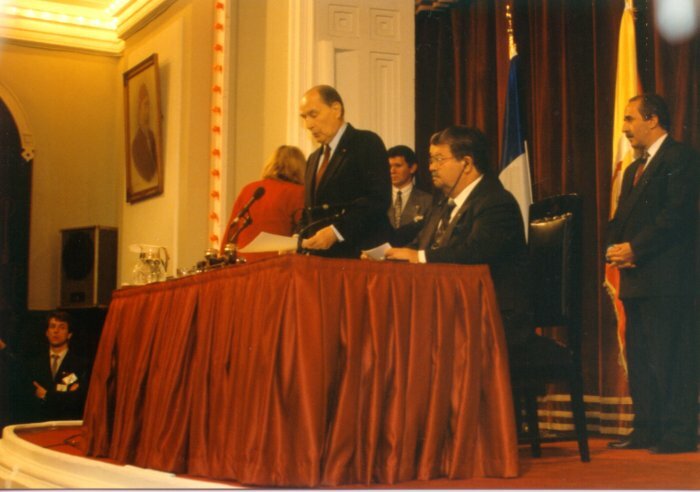 French President François Mitterand delivers a speech during the signing ceremony of the international treaty for the establishment of the Galatasaray Education Institution. 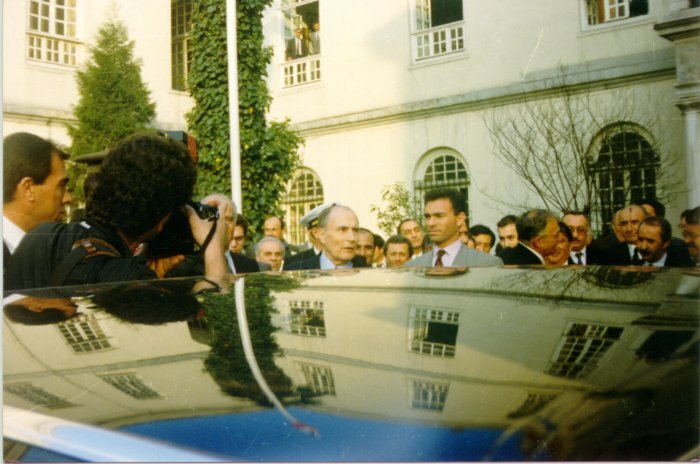 French President François Mitterand visits Galatasaray High School Tevfik Fikret Library during the ceremony for the signing of the international treaty for the establishment of the Galatasaray Education Institution. 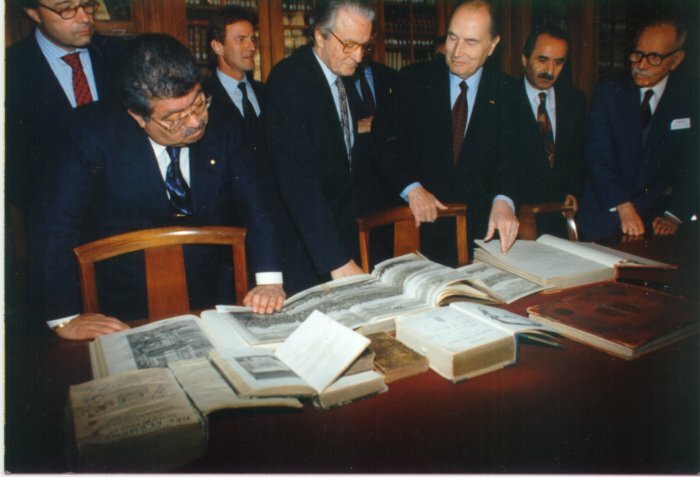 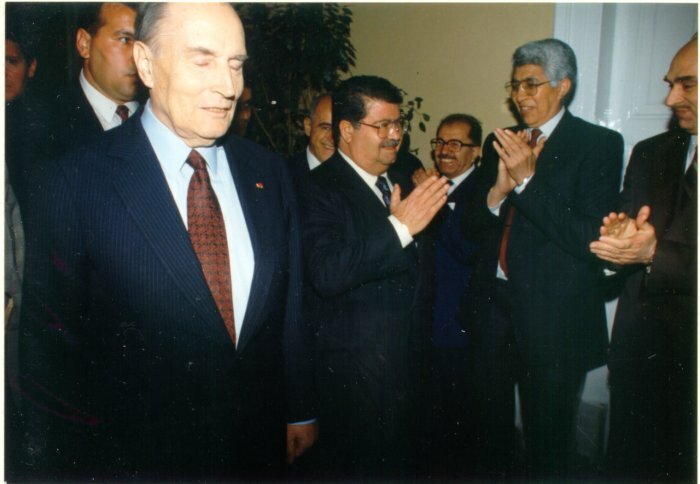 President Turgut Özal and French President François Mitterand tour Tevfik Fikret Library at the ceremony for the signing of the international treaty for the establishment of the Galatasaray Education Institution. 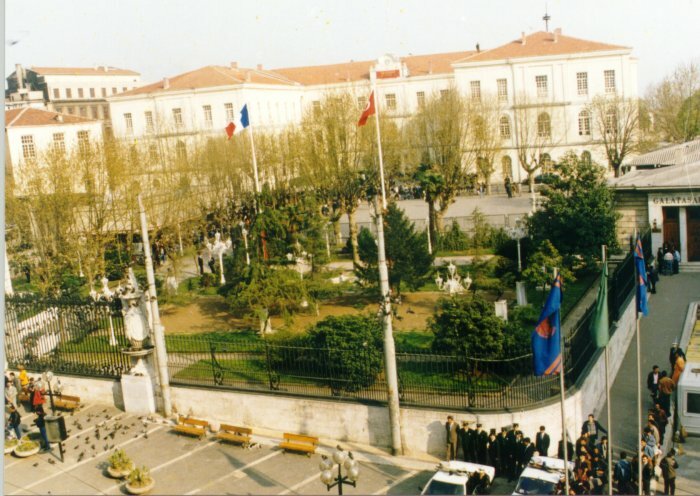 Turkish and French flags fly at the entrance of Galatasaray High School on the day the international treaty for the establishment of the Galatasaray Education Institution is signed.